A caustic satire on class privilege and deprivation . . . The portrait Kohnstamm offers of a Seattle backwater trailing in the wake of the Emerald City’s rising glamour is indelible. All at once hip, intrepid, and philosophical… Kohnstamm’s fresh voice has a millennial groove, the story is engaging and gritty, and there’s an impressive scrutiny of personal and societal ethics. Kohnstamm delivers a blistering, clear-eyed, and sure-footed debut novel about the perils and pitfalls of misdirected ambition. Lake City is a darkly funny and extremely relevant debut novel about American inequality and authority. Lake City is a crucial black comedy about the myths of money and happiness. Reads like a poem praising the strip malls and run-down garages of Lake City Way . 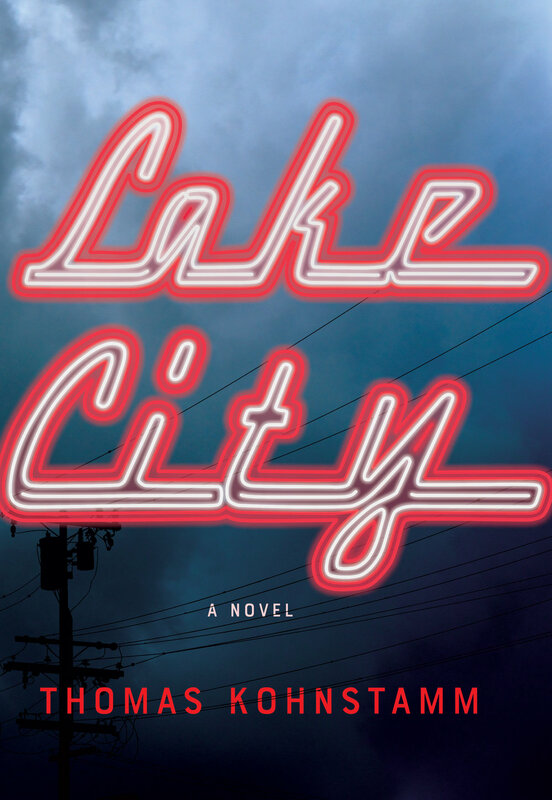 . . Lake City is a story as pugnacious and as charming as its protagonist . . . Kohnstamm may be concerned with recreating a Seattle of a different time, but he insists on engaging modern Seattle in a deep conversation. One of the deepest, richest, most astute Seattle-set novels we’ve seen. The Fred Meyer scenes are glorious . . . Kohnstamm is at his best when he's sending up a special kind of virtue-signaling liberal who claims to live their life in constant service to the oppressed, but who doesn't actually do anything for them . . . Local readers will likely enjoy the familiar locations and scraps of lore. A marvelous depiction of Seattle in the throes of its millennium-ending boom. Rendered with great sensitivity, an extremely keen eye for detail, and without a single shrill note or lapse into overstatement. Lake City is a kind of underbelly, Lesser Seattle companion to Where'd You Go, Bernadette? An intelligent, darkly comic page turner... Parts of it read like outtakes from Jonathan Franzen’s The Corrections or Jess Walter’s The Financial Lives of The Poets... Kohnstamm has a zippy sense of plot and a fine eye for detail. There are so many reasons to admire Thomas Kohnstamm’s astonishing debut novel, but his innate storytelling verve makes it truly unputdownable. Hilarious as it is cutting, Lake City offers an all too insightful critique of clashing classes and misguided ideas of success. Snarky social commentary on the world of Seattle have-nots. Read everything by Thomas Kohnstamm but, by all means, start with Lake City. In the last blue-collar neighborhood in 2001 boomtown Seattle, idealistic but self-serving striver Lane Bueche licks his wounds and schemes how to win back his estranged wife and her trust fund. Contracted by a wealthy adoptive couple to seduce and sabotage a troubled birth mother from his neighborhood, Lane soon finds himself in a zero-sum game between the families as he straddles two cultures, classes, and worlds. Finally, with the well-being of the toddler at stake, Lane must choose between wanting to do the right thing (if he could only figure out what that is) and reclaiming the life of privilege he believes he deserves.